Setting Things Right Through Marketing! How Can Your Business Do It! We have already discussed the proposed new approach of international marketing in Curative International Marketing: The Next Step Up, and the need to assume responsibility for the problems caused through marketing Claiming Ownership of the Problems Caused Through Marketing. Today, we will address how marketing can set things right through truthfulness and simplicity. On many occasions international marketing has either actively mislead expectations, or left its participants with a sense of substantial ambiguity. Marketing must base itself on fact rather than emotion, on insights rather than speculation, and do so within societal changes of context. Just as human beings change, social science truths may not be eternal but rather subject to change over time. When a customer feels gauged by marketing, the discipline is weakened. This responsibility for the entire field places a requirement of honesty on each marketing actor. Marketing must find new ways to simplify life. Simplicity adds value. Research finds that up to 23 percent of consumers are willing to spend extra for an uncomplicated experience. Simplification is also linked to truthfulness and making sure that people understand the implications of their decisions. 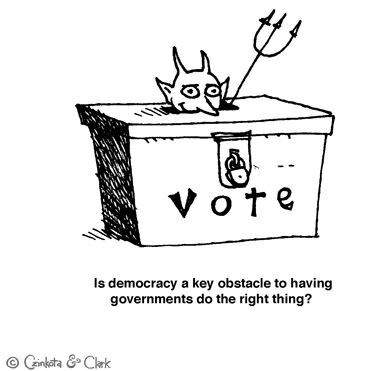 It is hard for a front line marketer to be truthful about something, if one does not understand how the system works. The understanding of how a product or even a system works and is interconnected is a valuable product attribute in itself. Marketers need to eliminate incongruities. It makes little sense when customers call, are on hold, and hear that ‘your call is important to us’. If the call were truly important, then the firm would hire more employees to answer phones. To find out how expanding participation can help marketing set things right, stay tuned to michaelczinkota.com. How Human Trafficking Impacts the Supply Chain! Human trafficking is a very large and profitable crime, affecting all sectors of society. Today, there are about 27 million people worldwide who are victims, including men, women and children. USCIB members ManpowerGroup and the NGO Verite launched a new guide to help companies prevent trafficking in their labor sourcing. “An Ethical Framework for Cross-Border Labor Recruitment,” provides a detailed framework for combating human trafficking and forced labor. 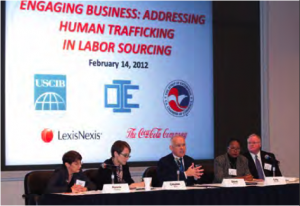 Source: “Human Trafficking in the Supply Chain.” Journal of the United States Council for Internatinal Business. XXXIV.1 (2012): 3. Print.